Arizona is one of the coolest places in America despite the hot temperatures. The Grand Canyon State may be hot for a good part of the year but that doesn’t mean that the place isn’t ideal for families and tourists to visit. The place is both lively and a sight to believe; it’s citizens, lovely and welcoming too. With an estimated population of over 7 million, there are a lot of people to meet and see. The Maricopa County is just one of Arizona’s best counties to visit because of its sceneries and fine people. It was even called as the 4th fastest growing county in the nation back in 2007. At the eastern part of the county is Scottsdale, better known as the West’ Most Western Town. Scottsdale, Arizona is home to over 240,000 citizens. The buzzing town is filled to the brim with hotspots, entertainment complexes, and other lively places. Those looking to have fun in Arizona make it a must to visit Scottsdale every now and then. What else is there to expect from a town dubbed as the dessert version of Miami beach? However, behind the glitz and glamour of the quaint little town is a widespread substance abuse problem that is not only prevalent in Scottsdale, but in the entirety of Arizona as well. As with most areas in the United States and in other parts of the world, Scottsdale has a problem with the abuse of drugs and alcohol. Aside from the drastic effects of these substances, the town and the state is also suffering from the crimes related to it. If you live in Scottsdale and have fallen victim to substance abuse don’t hesitate to seek treatment. There are enormous resources in at your disposal. Not just Arizona but the entirety of the United States is facing a war on drugs. Cocaine, heroin, crystal meth and even medicinal drugs like opioid are rampant throughout the streets across the nation. Arizona may have a bigger problem as compared to a majority the other 50 states though as one study finds out. A study by Wallet Hub last year reveals that of all the states, Arizona ranked 8th in terms of which have the largest drug problems. The states were analyzed using 15 metrics which ranged from arrest to overdose rates. The mean of the metrics was used to measure all of the state’s drug problems. Garnering a total score of 49.35, Arizona ranked 8th out of the 50 states. The highest ranking state is the District of Columbia ranks score of 64.06. Out of the 50 states, Arizona place 10th in the percentage of teens who admitted to using illegal substance in the month prior to the survey. On the other hand, the state ranked 13th in the percentage of people age 20 to 60 who admitted to using illegal substance in the same context. When it comes to opioid medicine per capita, Arizona ranks at the bottom half with 26th. In terms of fatalities caused by drug overdose, the state ranked 18th over 50. When looking at the number of drug-related arrests made per capita, the state ranked 24th which is just above the middle. Arizona ranked higher coming in 4th when it comes to adults who needed the help of treatment facilities for drugs in the year prior to the study but refused it. When counting the number of drug abuse rehab facilities per a count of 100,000 residents, Arizona ranked 22nd. Arizona’s highest rank among all the metrics is its placement as 4th on the number of people who refused to receive any treatment for illegal substance use in last year. This basically means that a good portion of Arizona’s substance abuse victims isn’t willing to take action just yet. Another surprising piece of data from the study is that it ranks 10th in terms of the number of teenagers who used drugs in the month prior to the study. What we can get from the data is that a huge chunk of Arizona’s youth is already into drugs and this could have bad consequences for their future and for the future of their families as well. The good news though is that the state ranked a little higher when it comes to taking into account the number of treatment facilities which is good as it’s apparent that many establishments are aware of the lingering drug problem. Ranking 8th out of 50 states is a lot of trouble for the Grand Canyon State. The results are both alarming and staggering and should bring the substance abuse problem to the attention of not only those in charge but also of the citizens of Arizona. There are a ton of drugs circulating the United States and each state has its own growing drug problem. Some states have a serious opioid problem, some have crystal meth problems, and Arizona has its own drug to combat too. A study by Drug Abuse reveals what substances the state is mostly going up against and cocaine is revealed to be the main culprit. In the Maricopa County alone, there are 729 reports of cocaine in 2012 alone but the number dwindled down to 661 in 2013. Cocaine causes feelings of euphoria to the user and it’s of course, very addictive. An increase in heart rate, blood pressure, body temperature. Sexual problems, reproductive damage, and infertility. High blood pressure, leading to heart attacks, strokes, and death. Those addicted to the drug have also reported seeing hallucinations related to bugs crawling under their skin. Severe damage to vital organs including the lungs, liver, and kidneys. The side effects of cocaine go far beyond the victim as those around him or her are affected emotionally, financially, and in some cases, physically as well. It’s a horrible drug that has ruined the lives of many and the government of the United States is already seeking drastic actions to decrease the problem’s volume. Other than cocaine, the state is also having a severe problem with heroin though, in retrospect, the drug is rather prevalent in the United States as a whole. According to the study, heroin is the most commonly seized drug by the local task force. The total from 2012 and 2013 amounts to more than 2,500 reported cases. Other than the abuse and addiction to illicit drugs, the state of Arizona and its counties are also guilty of having alcoholism problems with its citizens. Though the side effects of alcohol are more long-term as compared to drugs, the fact remains that many vehicular accidents are caused by drunk drivers which makes alcohol a terror on the streets as well. Data recently released by the Arizona Governor’s Office of Highway Safety revealed that there are 93,000 more traffic stops in Arizona in 2017 but there was only a slight increase in DUI arrests. All-in-all, there were 26,296 DUI arrests in 2017 but the previous year, there were only 26,060. While the numbers have increased, there is no doubting that there are still a ton of arrests made per year. DUI is also one of the leading causes of fatal vehicular accidents not only in the state of Arizona but in the rest of the United States as well. The safety of passengers, drivers, and most especially pedestrians are at risk whenever a driver takes the wheel while he is drunk. As such, the state of Arizona, its counties, and towns have implemented strict driving laws regarding drunk driving. Other than the accident it causes, alcohol is also responsible for a few deaths because of poisoning. A study by the Center for Disease Control revealed that Arizona ranks 4th when it comes to the state with the most cases of alcohol poisoning. This, of course, is caused by excessive drinking. Alcohol poisoning is just as scary as it sounds. Not only is it fatal, alcohol poisoning also causes severe major brain damage which could leave a permanent mark on a person’s cognitive and motor skill. Another group worth mentioning is the local government’s own Arizona Substance Abuse Task Force. The group is comprised of substance abuse experts, concerned community members, who are all in it to address and reverse drug and alcohol abuse in the state. The Arizona Substance Abuse Task Force focuses on finding the best treatments for victims. Some coalitions, on the other hand, are intent on cracking down on the people behind the rampant spreading of drugs in hopes of lessening or completely abolishing the substances found on the streets. For instance, the Maricopa has the High Intensity Drug Trafficking Areas (HIDTA) that is tasked with regulating and inspecting the flow of illicit drugs in areas such as Scottsdale. The unit has been rather successful in its stint and it has recorded a few good records from its establishment in 2003 up until 2016. The HIDTA task force has been able to raid and abolish over 320 laboratories that are the main area of operations of drug traffickers. The group has rescued over 200 children who have fallen victim to the 320 laboratories. All-in-all, the group has recovered 567 tons of marijuana, 3615 marijuana plants, 1275 pounds of crystal meth, 78 kilos of heroin, and a staggering 250 kilos of cocaine. All of which is valued at $1,240,000. The HIDTA task force remains to be active in anti-drug operations to this day. Their aggressive approach to the war against drugs continues to make the Maricopa County a safer place for the citizens. It’s worth noting that these represent only a small portion of the coalition groups in Arizona. These groups reach out to all ages, races, as long as they are victims of substance abuse. These groups, along with the government, help out those in need in the best way they can and more importantly, these groups lead the victims to the path of recovery and growth. Scattered all over Arizona and its counties are countless, top-of-the-line facilities that are geared towards providing substance addiction victims with all the help they can get to be on the path to recovery. It’s a tough progress to get out of the addiction but with modern techniques, equipment, and a deep understanding of the effects of various substances, the process becomes a lot easier. Many treatment facilities in Arizona offer inpatient and outpatient programs that come in affordable packages. The notion that rehabilitation is expensive should be put to rest once a patient seeking help comes to Arizona as places like Scottsdale provides luxury treatment program for a fair price unlike any other. The treatment facilities offer an extensive lineup of programs that cater to all sorts of substance abuse programs. There are treatments for those who have severe substance abuse issues as well as for those with minor concerns but want it sorted out quickly. Of course, there are treatment for those who have recovered yet but are showing signs of withdrawal or relapse. These treatment facilities care for their patients the moment they walk through their doors, and the moment they walk out. Like most treatment facilities situated around the United States, those in Scottsdale and the rest of Arizona make use of state-of-the-art medical equipment to get the most out of detoxification. Again, there’s no need to worry about the treatment burning a hole through wallets, as the prices are fair and affordable. Other than using the most modern pieces of technology in the medical field, the treatment facilities in Arizona are also fervent users of various mental and psychological techniques to steer victims towards the path to recovery. 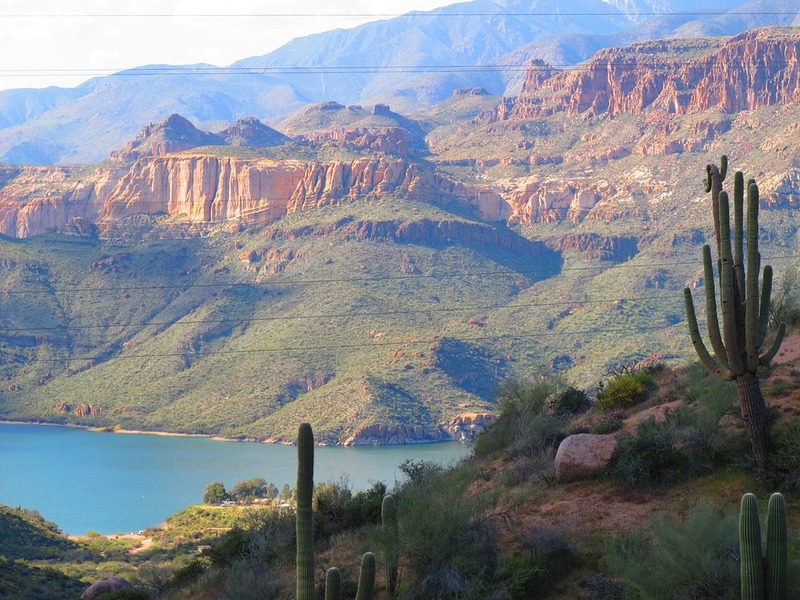 Some of the most exciting treatment programs offered by the top facilities in Arizona are adventure therapy sessions that take rehabilitation to fun and extreme levels. Instead of keeping a patient confined in a room, adventure therapy sessions make patients detoxify through an array of exciting activities such as mountaineering, zip lining, and several others more. By making patients feel the thrill of a good adventure, they are steered away from the temptation of substances. Overall, Arizona’s facilities are amazing and top-notch. Even those from outside the state visit it just to get the treatment first hand. It’s one of the best and most luxurious ways for substance abuse victims to become better and it has become the top choice for them as well. Like most states, Arizona is tackling the substance abuse problem from all angles. Not only is it looking to prevent the rampant spreading of drugs and alcohol, the governing body is also exerting a ton of effort in saving those who have been affected. Even more comforting is the fact that steps are being taken to provide the youth with a drug-free tomorrow. While no one can predict whether or not the problem with alcohol and drugs will still be present in the next year or even decade, it’s good to know that steps towards the problem are being taken. Hopefully, crimes and deaths related to drugs, alcohol, and, other substances are either less than what they are now if not completely abolished. A time when substance abuse is completely gone is still years, decades, and possibly longer away from ever happening. Thanks to the efforts of Arizona and its facilities though, that time is starting to inch in closer without us noticing it and soon enough, all communities will be safe.